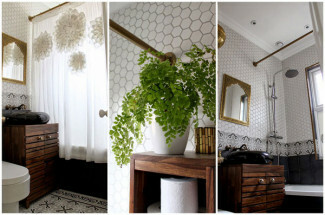 Thinking of building your own double shower curtain rod? Then, you're in the right place. 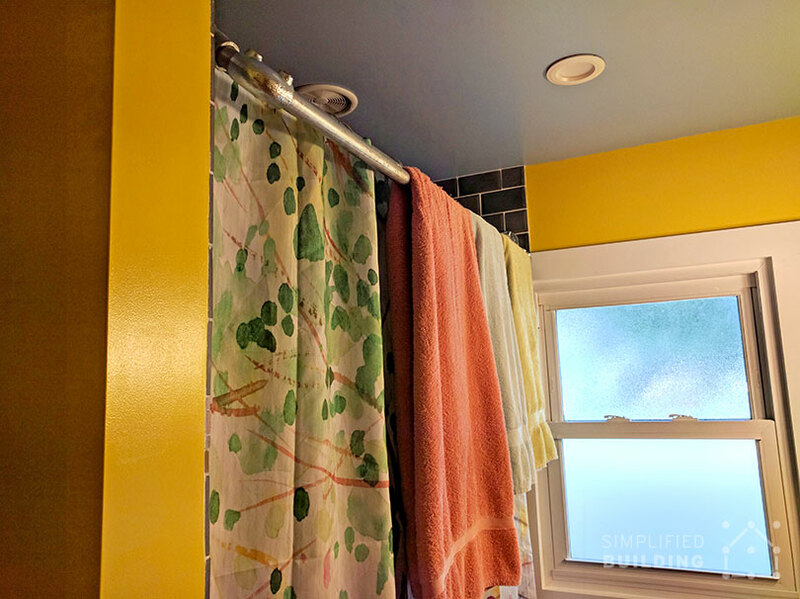 Lucas built this sturdy shower curtain rod featuring two bars: one for the shower curtain and the other to hang towels. The unique design is built entirely from Kee Klamp fittings and pipe. 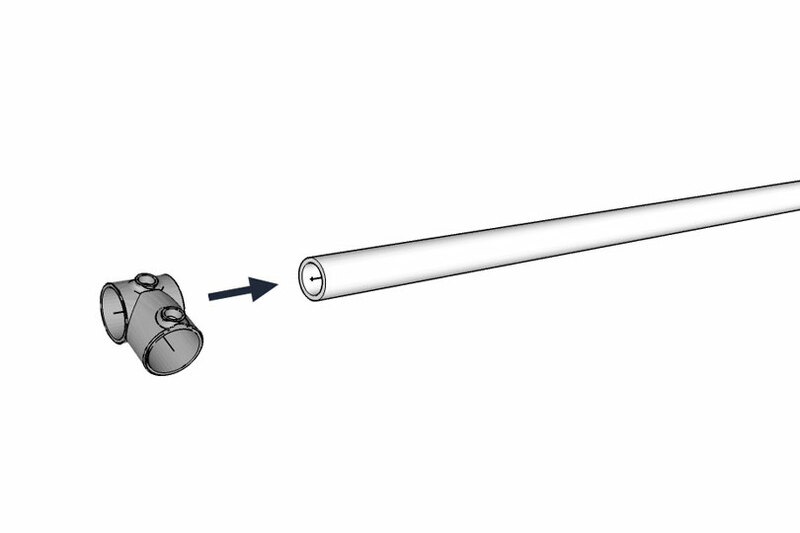 In this article, we're going to cover the details of Lucas' shower rod, what you'll need to build one just like it, and how to do it. Like I mentioned above, Lucas' shower rod features two bars. 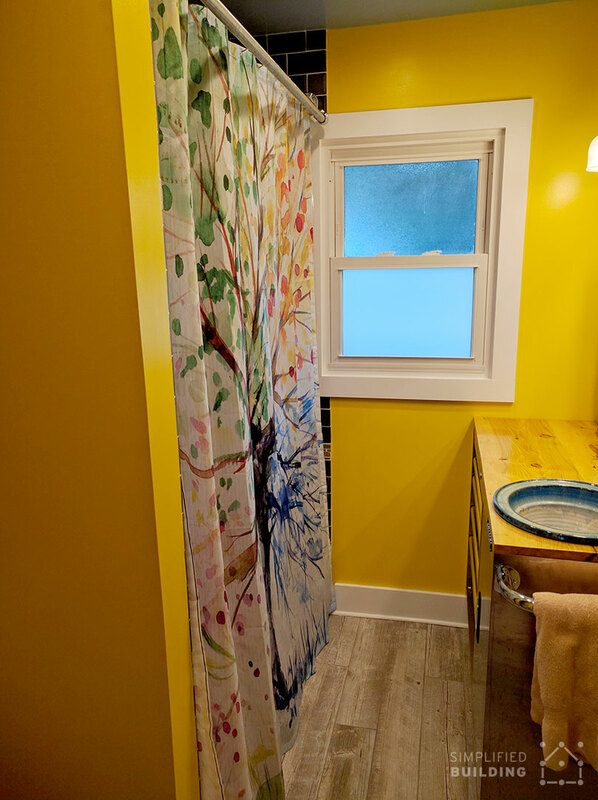 The first bar is used to attach the curtain rod to the wall and hold the shower curtain. This bar is attached to the wall on each side using the Flange fitting. The second bar protrudes out slightly from the first bar and is used to hang towels (allowing them to stay dry when showering). This bar is attached to the first using the Single Socket Tee fitting. 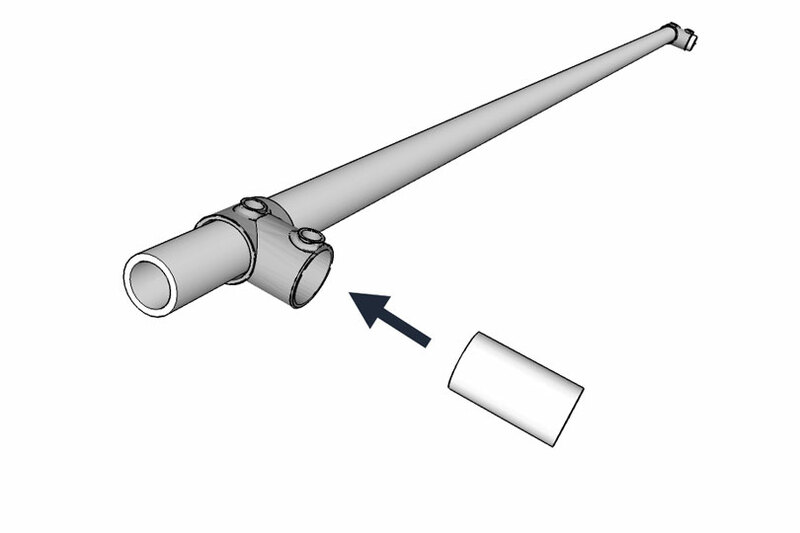 To create the bend at each end of the rod, a 90 Degree Elbow fitting is used. 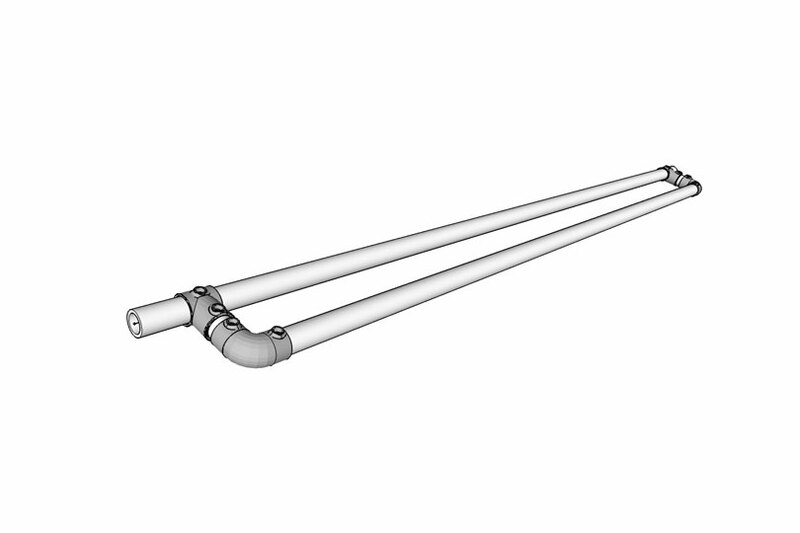 Lucas appreciated the simplicity and sturdiness of using the fittings to create the shower rod. 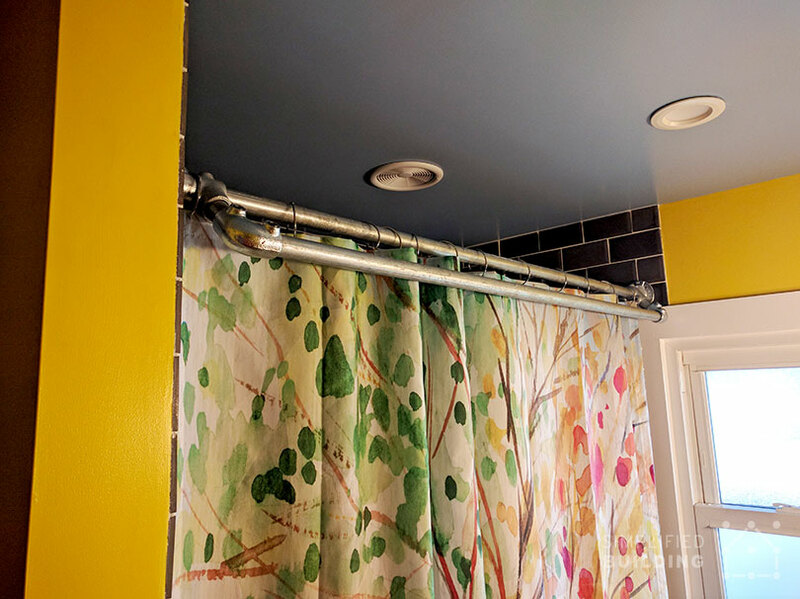 One of the best things about using Kee Klamp and galvanized pipe to build the shower rod are the fittings and pipe's supreme ability to fight off rust. 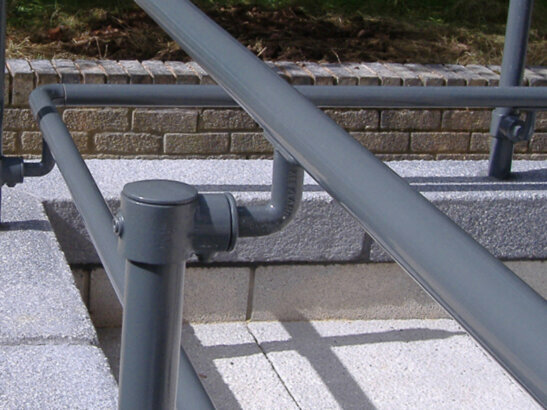 The fittings have been know to fight off the deadly signs of corrosion for up to 20 years (even longer in many cases) which make them perfect for a wet, moist environment like a bathroom. Which means, Lucas won't need to replace the shower rod for a very long time, if ever. Don't believe me? The state park at Niagara Falls uses these fittings for the very same reason. 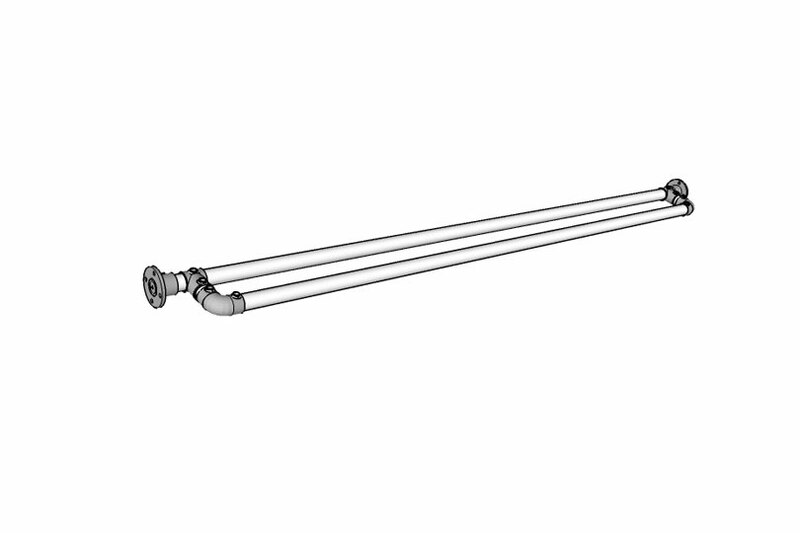 Below, are all the fittings you will need to build a double shower curtain rod like the one Lucas built. In Lucas' design, he used Size 5 fittings and pipe. Size 5 or 6 fittings and pipe are generally best for this application. 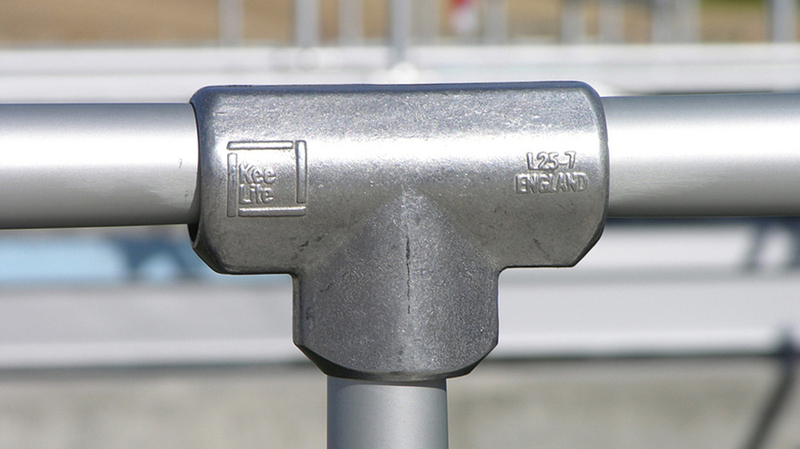 For more on pipe sizes, check out this guide. 10-5 - Single Socket Tee, 3/4"
Pipe can be ordered on this page. 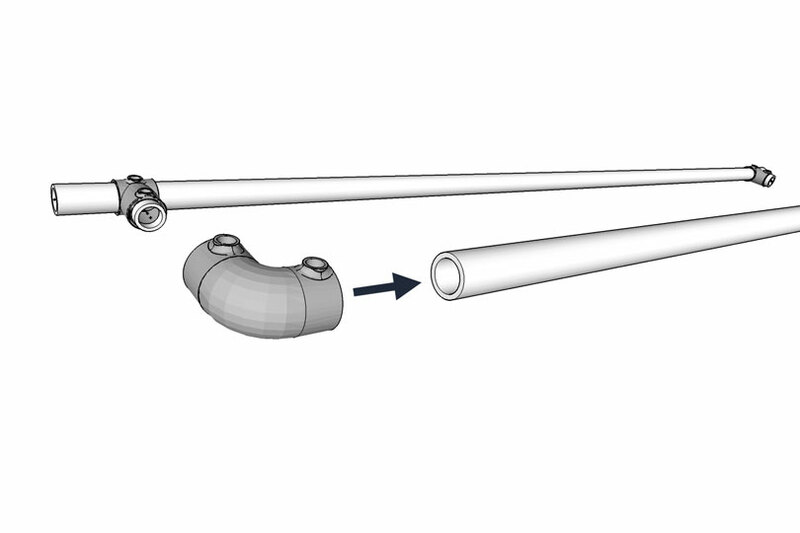 As with any Kee Klamp project, exact order can depend on how you would like to approach the assembly process. However, the order of steps listed below, are recommended. At this point, you can leave the fitting not yet tightened down (or not fully tightened down) so you can adjust it later if needed. 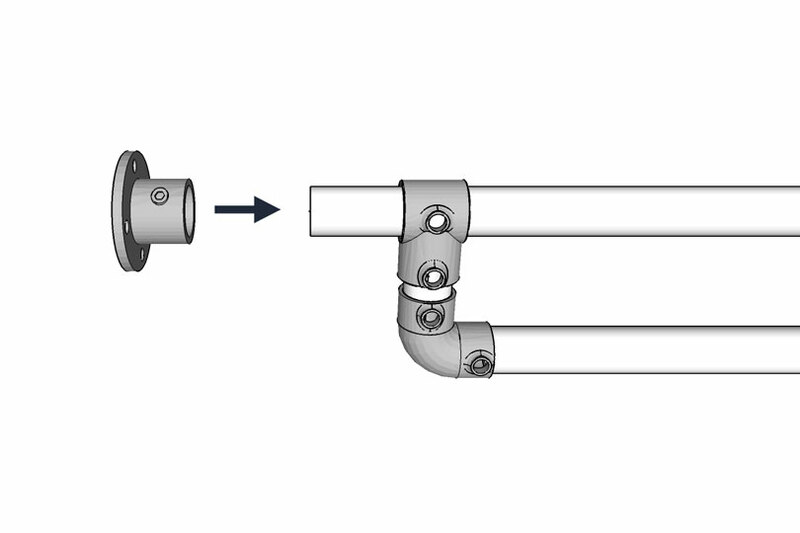 This pipe can be full tightened down by tightening the set screw on the Single Socket Tee. 3. Repeat this same process for the opposite side. At this time, the 90 Degree Elbow can be fully tightened down by tightening down the set screw on the fitting. 5. Repeat this step for the opposite side. This is where leaving the Single Socket Tee fittings slightly loose would help in case you need to adjust the position. 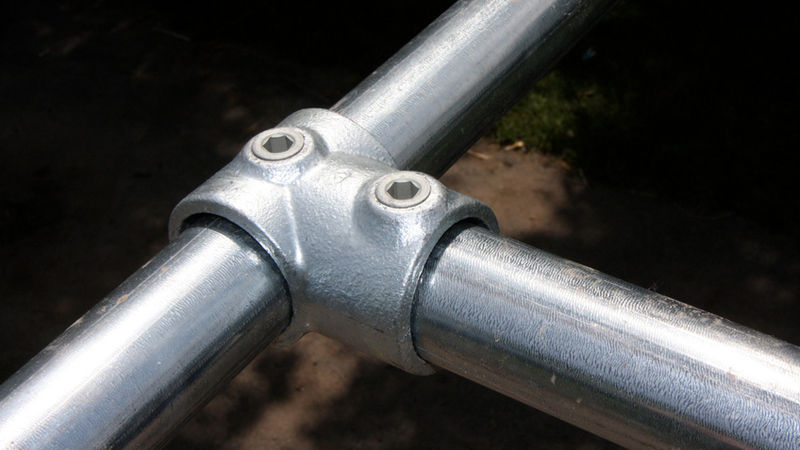 When in place, the second bar can be secured by tightening down the set screw on each 90 Degree Elbow. The set screws on the Single Socket Tee can also be full tightened down at this point. You may want to tighten this down just enough so that it's in place but can be moved back and forth just slightly. 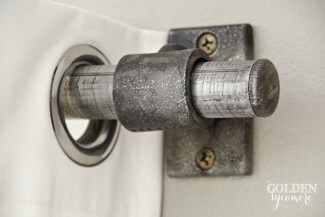 This may be helpful when positioning the curtain rod in place as this will give you a bit of "slop" to get the curtain rod in place. 8. Now, all you have left to do is hang the curtain rod up. You will likely want someone to help you at this point in order to hold the curtain rod up while you attach it to the wall. Each Flange fitting has four holes in it for mounting. That's it! 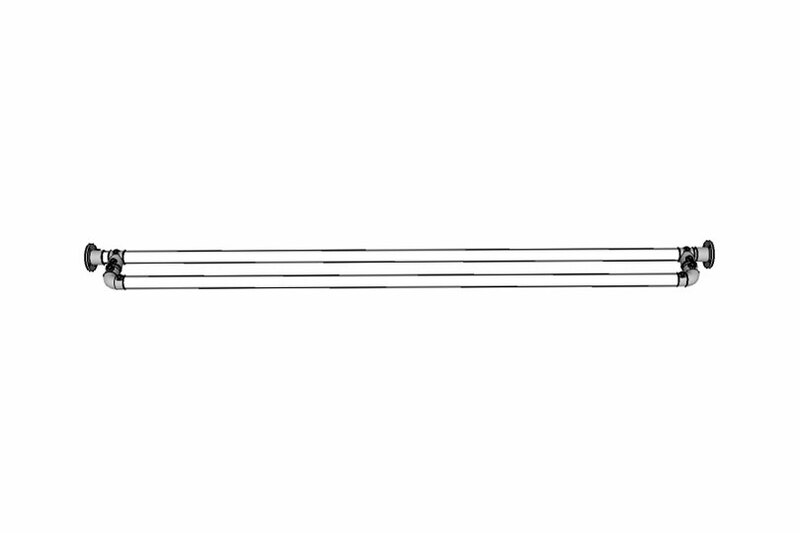 The curtain rod is now complete and should look like the diagram above. If you have any trouble assembling the curtain rod or need help ordering, don't hesitate to reach out to our projects team for help (projects@simplifiedbuilding.com). 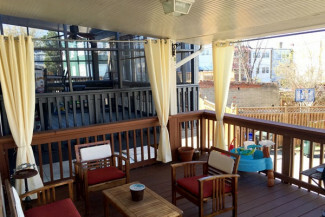 We also offer free design assistance for custom projects. We hoped you enjoyed this project, and if you want to receive updates on future projects like this one, be sure to sign up to our email newsletter.